Our review is based on our own analysis of different published car reviews and data available on BMW X3 official website. BMW has a strong reputation for building cars enticing to drive and even off-road models are more appealing. However, some of the reviewers stated that it lacks such reputation. It was not much fun to drive neither perfect off-road commuter. The built-in suspension is lumpy and might not support muddy slopes like Land Rover. The good news is that BMW has improved the suspension in new models. Considering the four wheel drive, the cornering is tremendous like a saloon car. X3 also performs well on slippery surfaces, especially snow covered terrains. It is perfect 4×4 for UK weather. X3 have received slight changes in the design to boast the sportier look. Moreover, because of its Dynamic Damper Control, X3 is perfect balance between comfort and agility. There is sufficient room inside the vehicle with spacious cabin and running costs are low as compared to other 4x4s. If you are looking for a four wheeler with a strong off-road capability, then Land Rover would be the best option to go for. Some of the people also prefer Audi Q5 over X3. X3 is available in 4 different trim options. The low cost xDrive20d SE £31,140, xDrive20d M Sport £33,835, xDrive30d SE £37,250, and xDrive30d M Sport £39,625. X3 comes with 2.0 liter diesel engine, which produces 184bhp. German manufacturers are focused towards a diesel engine because they said “there are not many consumers buying the petrol engines, so it will not be available in UK showrooms”. Most of UK car buyers might be concerned, but it is assured that diesel engine offers more than a petrol engine. Not only this, it can take you to 0-60 mph in 8.5 seconds with a highest possible speed of 130 mph. It comes with six speed manual transmission as standard, and you can also opt for eight speed automatic transmission. If you compare the vehicle with Audi Q5 180bhp TFSI, it takes the same amount of time to 8.5 seconds to reach 60mph and besides the maximum speed is almost similar. The car performs much better with eight speed automatic transmission, and it is worth investing. BMW X3 is a perfect handler, and it feels like other BMW saloons rather like heavy 4×4. X3 is powerful and the steering is outstanding. The handling gets even better when you select the sports button, which also increases the throttle. Due to the BMW xDrive system, the road manners are more enhanced. The traction control system is responsive, it senses when the wheel is slipping and send more power to others. It provides excellent grip on slippers and on slopes. It can even cope with Alpine snow terrains with Hill Descent Control. 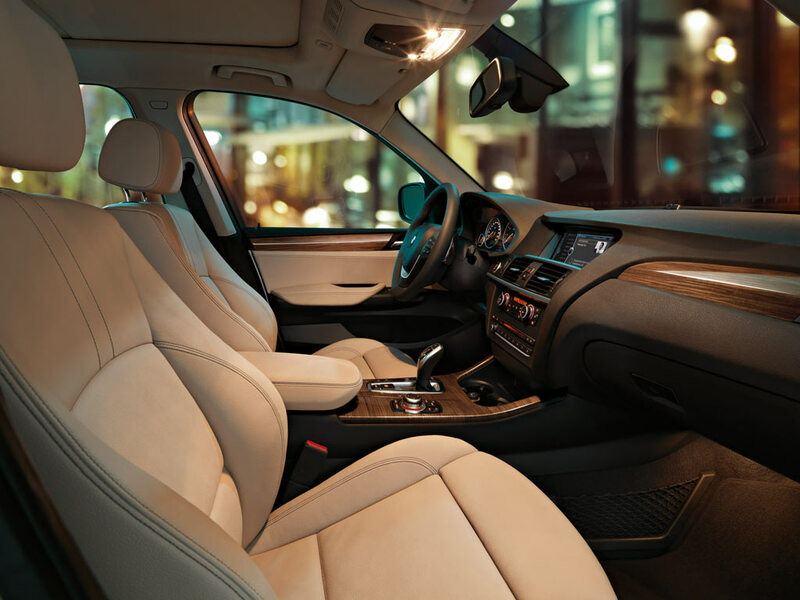 BMW X3 can accommodate five adults comfortably. However, the middle seat is small for adults, and it is advisable to keep the travelling distance short when fully packed with passengers. There is enough leg room to provide comfort thanks to increase in, length, height and width. When driving on the motorway, the noise from tyres is considerably loud. The luggage space is sufficient to carry most of the things. It provides about 550 litres with back seats in use and if you fold down the back seats, the room increases to 1600 liters. The BMW X3 includes the most recent edition of BMW’s iDrive controller, with the help of this controller you can switch to the encyclopedia of amusement. There are many high-tech equipments available in X3 like Automatic Aircon with Dual-Zone Control, ISOFIX attachments, Ambient Interior Lighting, Cruise Control with brake function, heated electronic exterior mirrors, iDrive Control with 6.5inch screen and high quality leather materials. 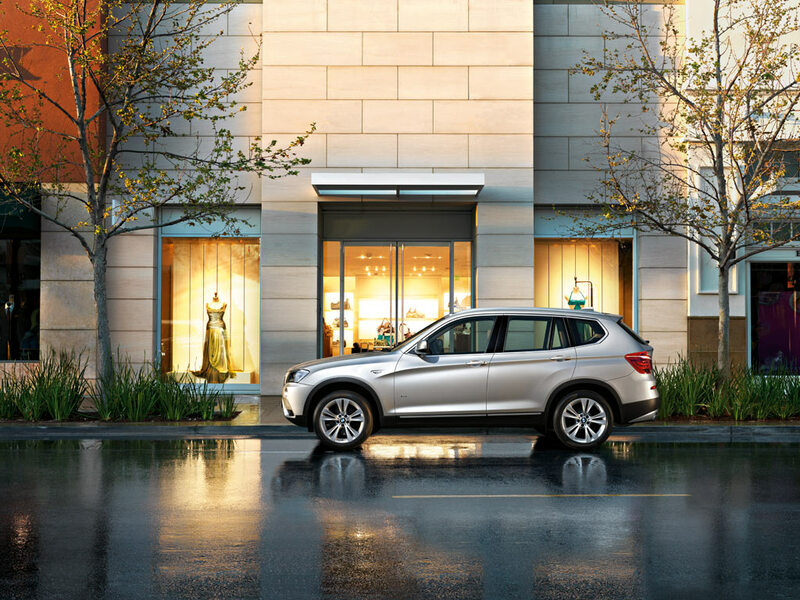 There are many standard safety features available in X3 and it is one of the safest 4×4 to drive. It comes with front, side and curtain airbags for front passengers and head airbags for second row. Some of the safety options include Crash Active headrests, crash sensors, tyre defect indicator, ABS, Traction Control System, Dynamic Brake Control, Cornering Brake Control, and Hill Descent Control. The 2011 X3 has not yet crash tested by EURO NCAP. However, mechanically similar 2008 receive 4 star rating for front passenger safety. 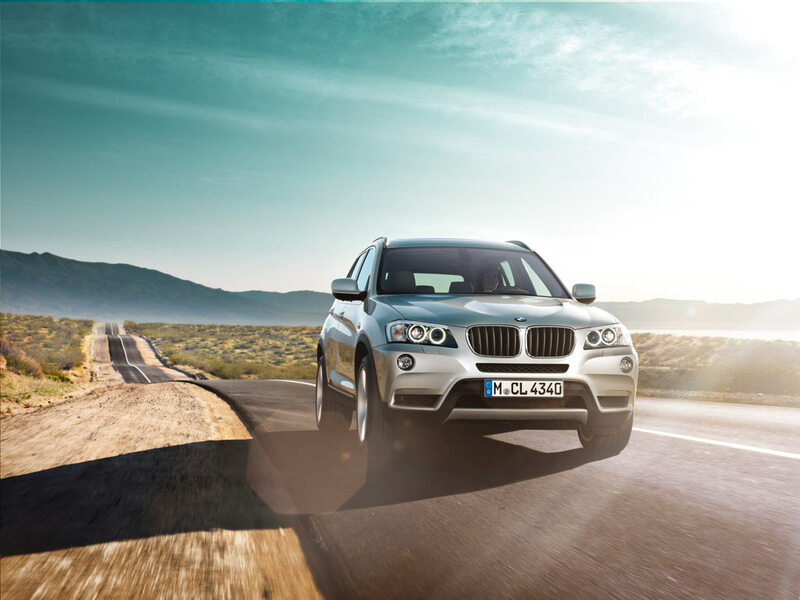 BMW X3 is famous for manufacturing reliable cars. X3 comes with 5 years or 60,000 miles warranty. You can also opt for service package starting from £300. Check your local dealers for warranty and test drive information.